A new tower at 520 Fifth Avenue has been a long time coming, and Thor Equities has already released preliminary renderings of what the building’s retail podium will look like. But now, the first filings for the (likely) condominium portion of the development are up, and YIMBY can reveal that it will greatly exceed the previously estimated height, standing 71 stories and 920 feet to its roof. Handel is listed as the architect of record, and the building will total 353,589 square feet, split between residential and commercial components. Per the Schedule A, the first 24 floors of the building will be dedicated to 156,024 square feet of commercial space, with a three-story retail podium giving way to amenities and a hotel, which will total 208 rooms. The residential portion will measure 197,565 square feet and have 145 units, and starts on the 26th level with a full-floor apartment. The 27th floor will be shared by a gym and amenity spaces, and then besides occasional mechanicals, floors 28 through 70 will be divided between three units each. Quick math reveals an average unit size of just over 1,300 square feet, and while that is large, it’s actually on the smaller side for super-luxe condo buildings currently rising in Manhattan. 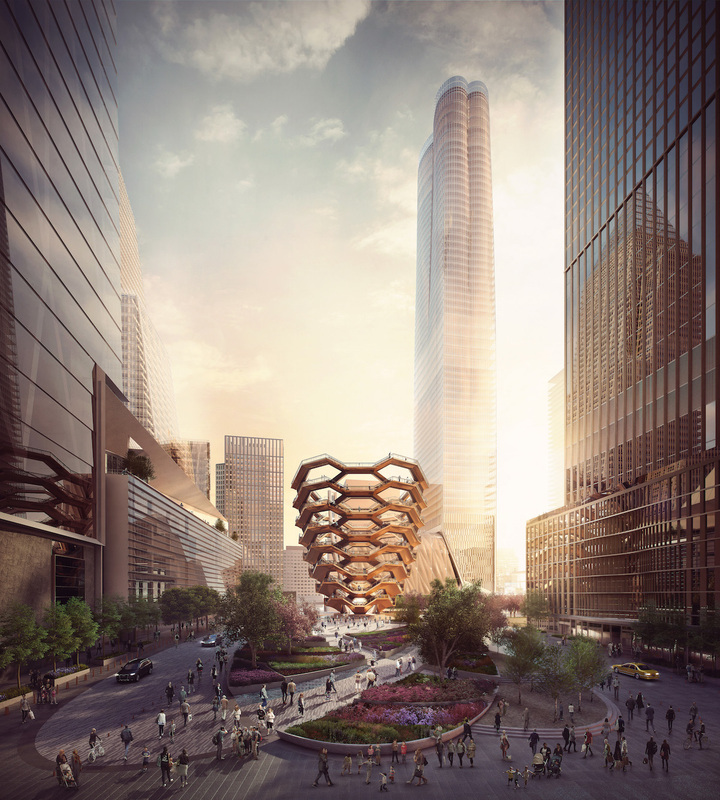 The project is located on the corner of 43rd Street and 5th Avenue, which is certainly a central location, though it would not command the premiums of a 57th Street address. 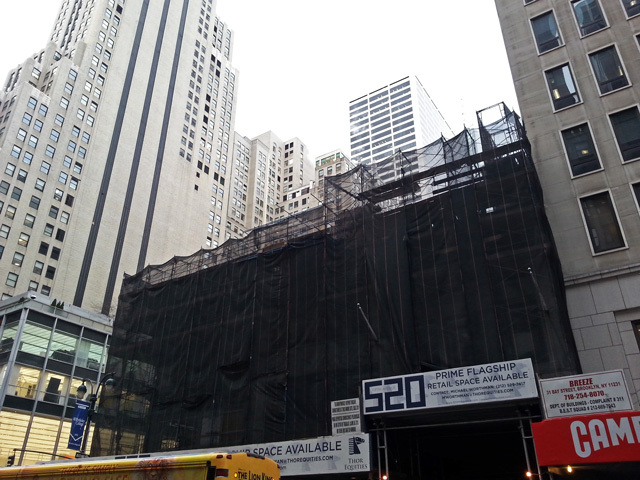 Still, 520 Fifth Avenue will be taller than almost all nearby buildings. And given that the DOB measures to the highest occupied floor, there is also a possibility that a crown element could bump the project above the 1,000′ mark. The design architect has not yet been released, and no completion date has been announced, but one thing is certain: Midtown Manhattan’s residential boom continues at a breakneck pace.